On the ground, most of us are subjected to relentless sales pitches every day, from robocalls to pop-up ads on the internet. But if you think taking an airline flight will give you a couple of hours of peace from the endless selling, you could be wrong. At least two major airlines are enlisting flight attendants to pitch the airline's credit card to a captive audience, buckled in at 30,000 feet. United is the latest airline to turn its flight attendants into sales personnel. Beginning September 1, it will require flight attendants to offer a sales message to domestic and international passengers on the benefits of carrying the airline's credit card. “We are introducing a new training program for our co-branded credit card that is especially designed for flight attendants, as this work group has the most engagement with our customers,” the airline said in a statement to the Los Angeles Times. “Our inflight crew are effective ambassadors, who can best communicate to our customers in the moment the benefits of the United Explorer card." 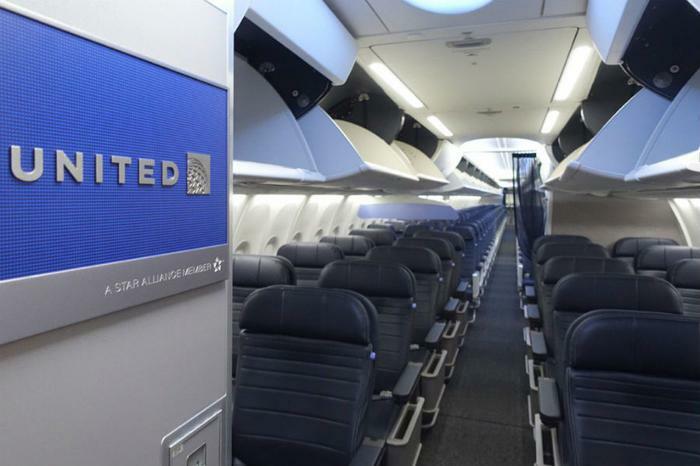 United joins American as carriers that will use the cabin crew to pitch credit cards to passengers, offering financial incentives for each sale. For the airline, co-branded credit cards can be lucrative. The banks that manage airline travel cards usually buy miles from the airline that are, in turn, used to reward cardholders who spend a certain amount using the card. While travel rewards cards are not a good fit for most consumers, those who travel a lot may find them highly beneficial. An airline cardholder may get special perks, such as preferred seating, early check-in, and free checked bags, which could easily pay for the annual fee over a year of heavy travel. Carrying an airline co-branded credit card may also give travelers access to the airline's VIP lounge, with more relaxing surroundings than an airline terminal gate and an offering of complementary food and beverages. Not all are the same, however. Forbes and The Points Guy recently rated the top four airline credit cards for their access to airport amenities. They include The Platinum Card from American Express; Citi /AAdvantage Executive World Elite Mastercard; Delta Reserve Credit Card from American Express; United MileagePlus Club Card. All four cards carry hefty annual fees of between $450 and $550, so the cards would probably only pay off for high-frequency air travelers.